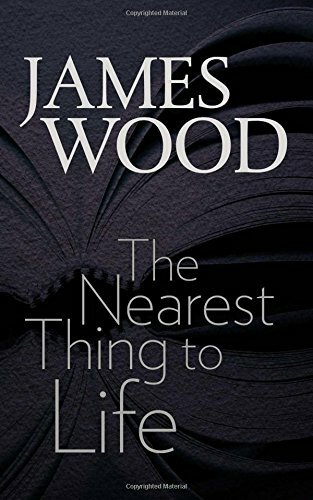 It is likely that James Wood, a staff writer for the New Yorker magazine and Professor of the Practice of Literary Criticism at Harvard University, would agree with Bradbury, given the evidence of his latest book, The Nearest Thing to Life. It is a short work that gives deep consideration to the art of fiction and the importance of that art to our culture. Despite being an academic, and despite the fact that the four essays in the book started life as lectures (the first three given as part of the Mandel Lectures in the Humanities at Brandeis University and published under their sponsorship), Wood’s book is neither academically dry nor, worse, academically obscure. The book is a beautifully written, compelling, and personal series of thoughts as to what makes fiction, as the title declares, the nearest thing to life. Wood seems to be saying that fiction provides a secular answer to Why? Or possibly it is the secular way to ask Why? Wood states that the novel moves between secular and religious modes or between what he calls “instance and form.” By instance he means the details of life, even ordinary life, possibly the fullness of life within the novel’s own life. And yet the form of the novel, bounded by a beginning and an end, “. . . reminds us that life is bounded by death, that life is death-in-waiting.” Wood does not specifically say this, but one assumes he finds fiction’s response to Why? more fulfilling, or at least more palatable, than religion’s. And is this so because fiction is more honest in its lying? In the third essay, “Using Everything,” Wood turns his attention to his own profession of literary criticism as a way to further talk about fiction, making them partners dancing to the melody of metaphor. The fourth essay, “Secular Homelessness,” was not born from the Mandel Lectures but is based on a lecture Wood gave at the British Museum in 2014 in a series co-run by the London Review of Books. It concerns exiles and emigres in a world that, starting in the last mid-century, accommodated them with jet travel, leading to a World Literature that has possibly morphed into a Global Literature. The difference between the two, and literature from those who are not so much homeless as “homeloose” are the ideas Wood gives compelling thought to here. All four essays are infused with bits of Wood’s life, often conveyed in passages of fine prose demonstrating his own eye for details, his own serious noticing. It gives his book a most comfortable continuity and makes it a pleasure to read.